The Yankees refuse to consider any objective other than the division race, keeping their eyes firmly fixed upon the substantial distance that separates them from the Red Sox in the American League East. Yet since the middle of May, only the Athletics have played more consistently than Boston, and those footsteps could be growing louder in the Bombers’ ears. 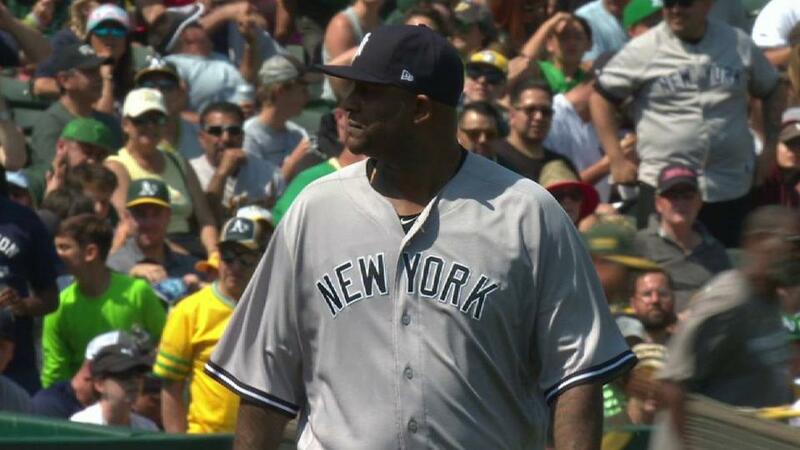 In a sneak peek of the probable competitors in the AL Wild Card Game, CC Sabathia permitted solid contact early and often before departing in the fourth inning, opening the Yankees’ West Coast trip with a 6-3 loss to the Athletics on Monday afternoon at the Oakland Coliseum.